If you’ve ever had trouble with one of your favorite kitchen appliances, like your dishwasher, only to learn that it needs to have a filter cleaned or replaced, you might know the importance of changing filters first hand. 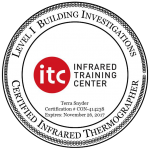 But did you know that this also applies to lots of other areas in your home, and that it can affect your home’s energy efficiency or even put you at risk of a fire? 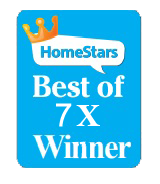 Let’s explore the powerful impact of simple filters on your home’s safety and efficiency. The most important place in your home to routinely check for clean and properly working filters is your HVAC system. 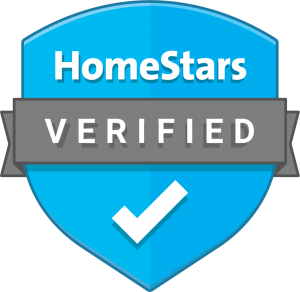 Energy Star recommends checking your air filter in your heating and cooling systems at least once a month, and even more frequently during months of high use like the depths of winter or the peak of summer depending on your location. You should be replacing the filters in your heating and cooling systems about every three months, but if you notice that it’s dirty during a routine check, replace it sooner. A clean filter will prevent dirt build-up that can cause serious and expensive damage to the equipment in your home. It can also ensure that your HVAC system is running smoothly. If a filter is clogged, your HVAC system might have to work harder to push heated or cooled air throughout your home. This could cause significant increases in your monthly energy bill, so make sure to check filters regularly. Improperly maintained dryer vents and filters can become clogged with lint from your loads of laundry, potentially creating a serious fire hazard or even allowing carbon monoxide to build up in your home. In fact, Allstate reports that roughly 15,000 home fires are caused by dyers each year. As you run your dryer, lint is trapped in the filter and piles up in the vent, which eventually gets exhausted outside of your home. 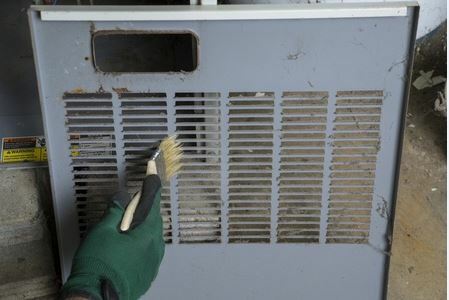 If you don’t clean these out regularly, the lint can eventually fully choke off the vent, meaning that the heat from the dryer can potentially ignite the lint or fumes from a gas dryer can backup into your home – both serious hazards for you and your family. This buildup can also reduce the efficiency of your dryer. If the moist air from your wet clothes isn’t being properly vented, your dryer has to run longer to fully dry your laundry. This means you spend more money on electricity or gas to complete each cycle, which, in turn, means that your dryer can wear out more quickly from extra use. Make sure to keep your vents and filters clear for your safety and your wallet. Your stovetop likely has a vent that is used to pull out overheated air, fumes and grease that occur when you’re making your favorite meals. This vent, like others, has a filter that specifically is designed to catch grease and pull it out of the air, which means that over time it will become choked with slick, greasy residue – gross! However, this grease can also be highly flammable, which is a serious concern, as well. What happens if a spark comes off your stove while moving pans around or you accidentally catch something on fire? You could quickly go from having a bad meal to having a bad house fire if the grease catches. As the grease builds up, it also impacts the efficiency of your hood. A clogged filter can restrict air flow, meaning you could be allowing greasy or warm air to build up inside, meaning your air conditioner or home air filters need to work harder to keep your home comfortable. Degreasing your filters regularly is not just a good move for safety, but also for efficiency, so put on the rubber gloves, get out the degreasing soap and scrub, scrub, scrub! As part of a home inspection, the team at Accurate Home Inspections will check out every system in your home, looking for hidden problems or concerns that could be major hazards or issues. We’ll check your property from basement to rooftop, giving you a thorough and comprehensive look at structural and system concerns so that you can take any necessary steps to remedy any uncovered issues. For more information or to schedule your home inspection appointment, call Accurate Home Inspections today at 403-826-6111.